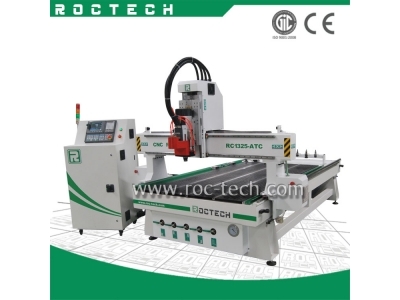 China 3 AXIS CNC ROUTER WOODWORKING RC1325-ATC Manufacturers ,3 AXIS CNC ROUTER WOODWORKING RC1325-ATC Suppliers Directory - Find a 3 AXIS CNC ROUTER WOODWORKING RC1325-ATC Manufacturer and Supplier. 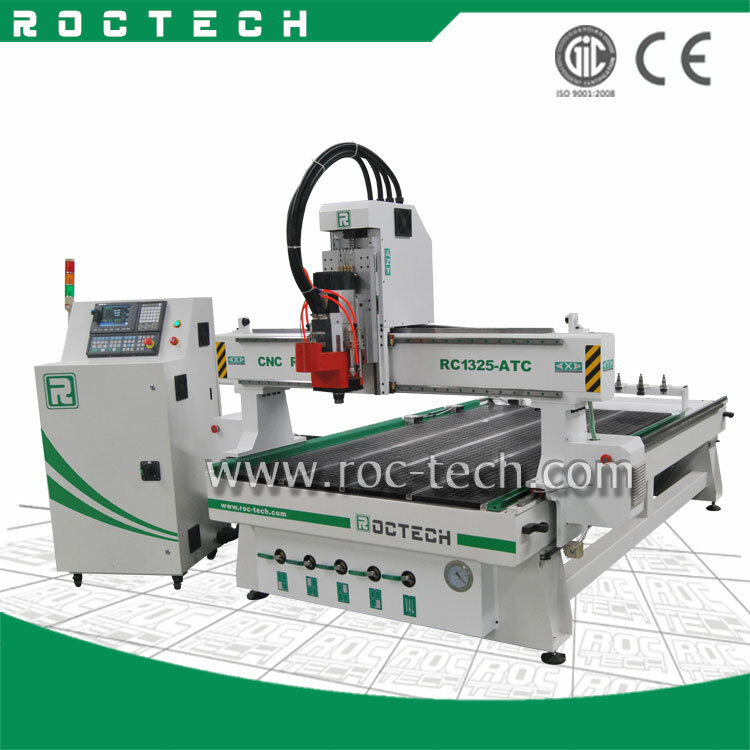 Choose Quality 3 AXIS CNC ROUTER WOODWORKING RC1325-ATC Manufacturers, Suppliers, Exporters at ROCTECH CNC router. This machine works with Auto-tool changing 8 tools auto-changing on linear. 1.With Syntec Controller Taiwan Hiwin Linear Rails, Yaskawa Servo Motor and Driver Italian Spindle. 2.With auto positioning rods, can locate the materials automatic, save much time and improve the work efficiency. 4.Furniture: doors, cabinets, tables, and chairs. 1. The machine is guaranteed for 12 months. 2. Technical support by phone, e-mail or MSN around the clock. 3 axis CNC router for woodworking are our selling models. These well-known companies are our suppliers, they are Siemens, HSD, Yaskawa, Delta. This engraving machine is mainly used in furniture and panel furniture industry. Considering to the customers' different requirements about the sizes, we can provide different models. Copy Right Roctech Machinery Co., Ltd.